NASA launched a spacecraft Thursday night on a seven-year mission to an asteroid in an attempt to unravel one of humanity's most fundamental questions: How did we get here? 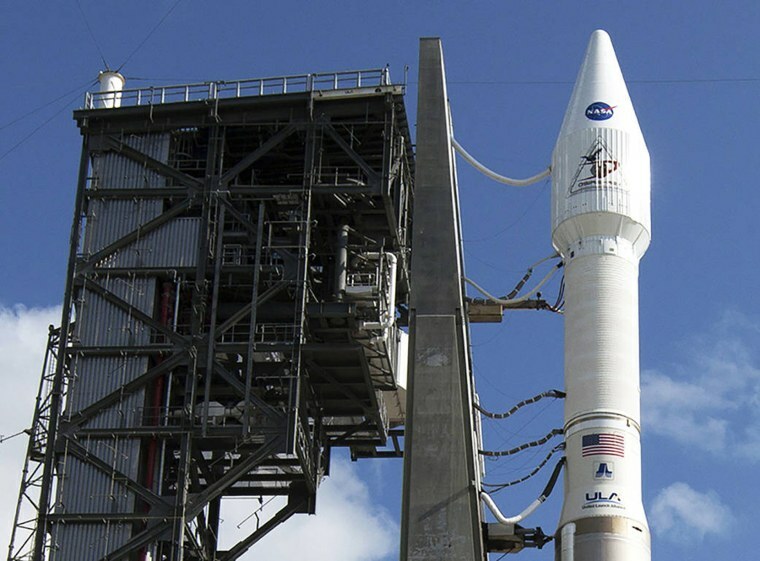 The space probe, named OSIRIS-REx, an acronym representing the various instruments it is carrying, lifted off from Space Launch Complex 41 at NASA’s Kennedy Space Center in Florida. If all goes as planned, OSIRIS-REx will reach its target, the asteroid Bennu, in 2018. Asteroids are like time capsules, providing insight to what the universe was like billions of years ago. Scientists hope Bennu may hold new clues explaining the origin of the solar system — and life itself. The 500-meter-wide rock gets within 200,000 miles of Earth's orbit about once every six years and was chosen because of its size, carbon-rich composition and proximity to Earth, according to the mission's website. Once the probe is three miles away from Bennu, it will spend six months mapping its surface and then use an arm to grab at least a 2.1 ounce sample that will be returned to Earth in 2023. "The most primitive asteroids are carbon-rich and have not significantly changed since they formed nearly 4 billion years ago. These asteroids contain organic molecules, volatiles, and amino acids that may have been the precursors to life on Earth," NASA's mission website stated. Scientists don't believe Bennu could seriously harm Earth, although there is a small likelihood it could hit our planet in the 22nd century, making learning about the asteroid even more important for NASA. The spacecraft will briefly touch down on Bennu to gather dust and loose rocks, which will be stored in a tiny capsule. It will then depart Bennu in March of 2021, traveling on a two-and-a-half-year path back to Earth. As OSIRIS-REx approaches Earth, it will eject the sample capsule. The asteroid remnants will land in Utah with the guidance of parachutes. There, the capsule will be retrieved by scientists. OSIRIS-REx will then continue into orbit around the sun, paving the way for future asteroid exploration missions, NASA said.